One of the best phones out there right now in terms of quality and features. I bought this phone 2 weeks ago and I love the back cover panel.The display is QHD and is gorgeous. The phone is fast and snappy. Overall, it feels premium in hands and is a head turner. Complete value for money. Would have been better if launched at 50K. Triple camera setup with one monochrome camera. This is the latest smartphone from Huawei and P20 Pro comes with lots of great stuff. The three set up cameras at the back is just mind-blowing. You&apos;ll also get a dual front camera which works amazingly great. Huawei P20 Pro comes with the latest processor which gives you impressive performance so if you&apos;re a heavy gamer don&apos;t worry this device is not going to let you down. Apart from this, you should invest in this smartphone as it is a complete package. I was hesitant to buy this, but was not disappointed at all, its an amazing phone. Good build, clarity of audio and sharp display. Nice user interface. Overall, a flagship phone worthy of its price. Totally recommended. After the launch of Galaxy S10, P20 Pro seems very weak. I do enjoy the premium build and those impressive cameras but still, S10 is much better than this phone. You can still go for this phone since Huawei is best when it comes to a premium phone with their powerful specs, value for the money price tag and impressive software support. 4 Pricebaba users have written their experience with Huawei P20 Pro. 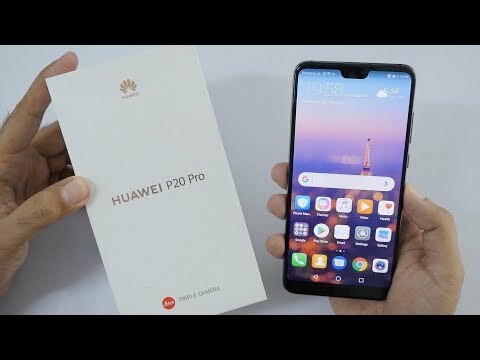 If you own Huawei P20 Pro, please do leave your feedback too. The Huawei P20 Lite rocks a large 6.1-inch Full HD+ bezel-less display. It is fitted with an OLED panel on the top that produces crisp output. There is a notch on the top of the screen. For charging, there is a USB Type-C port. The device has various sensors like accelerometer, proximity sensor, magnetometer, and gyroscope. The P20 Pro ships in three attractive colors i.e. Black, Midnight Blue, and Graphite Black. The Huawei P20 Pro sports a triple camera setup comprising of 40MP RGB sensor, 20MP monochrome sensor and a 8MP telephoto lens. For selfies, there is a 25MP sensor on the front. The rear camera is capable of recording 4K videos. On the performance front, the P20 Pro houses a 2.36GHz HiSilicon Kirin 970 octa-core chipset under the hood. For smoother multitasking, it packs 6GB RAM and Mali-G72 MP12 graphics processor onboard. In terms of storage, the P20 Pro offers 128GB inbuilt internal memory without support for the microSD card slot. Out of the box, the P20 Lite ships with the latest Android 8.1 Oreo OS with Huawei’s custom EMUI 8.0 layered on the top. The Huawei P20 Pro draws its power from a 4000 mAh non-removable battery. It supports fast charging feature. This a dual SIM smartphone and requires nano-SIM cards. On the connectivity front, the P20 Pro has all the basic options for networking like 4G LTE, 3G, 2G, WiFi, Bluetooth, NFC, and VoLTE.